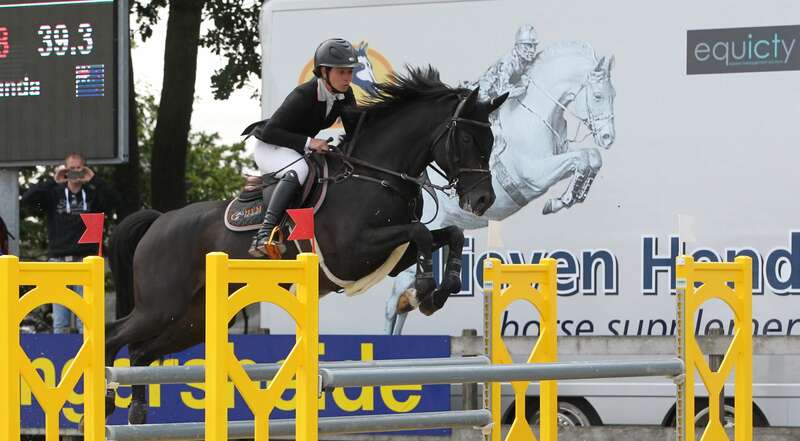 Very good weekend for our horses in Bonheiden! Hades VDS and Icarus did good performances with Marlon Zanotelli in 2* Bonheiden! DIAMOND Z is improving every days! the 9 years old stallion did a very good week in Sunshine Tour under the saddle of Mark Bluman finishing by a beautiful clear in 150! At Vejer de la frontera, DIAMOND Z takes the 2nd place of the Medium Tour! JUPITER VG 6th in 1m55 at Saut Hermes! very nice 6th place for JUPITER VG in Accumulator 155 class during Saut Hermes! EL DORADO (Indorado x Heartbreaker) did a very nice round in 150 class with Marlon Zanotelli!